This is the usual topics most of the bloggers blog about. As I am also a blogger, I also would like to write about “how to earn money online?” . 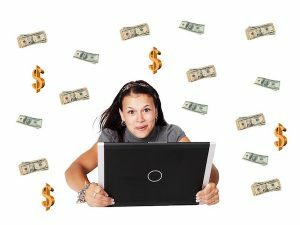 But methods of earning money online in my post will be quite different with others. I will write about how people from my country (Myanmar) are earning money online. Myanmar has different digital landscape from other countries. As Myanmar people exposure to internet and social media is quite late than other countries, and still some of the things are not still available in Myanmar. For example, we cannot use Paypal in Myanmar. Myanmar language is not supported by AdSense yet. Most of our local Visa/Master card has limited access to many online purchasing. We cannot receive cash by our Master/Visa cards. There all are barriers that we are still facing while doing online money making. But even with these limitations, we are still earning from online tasks. But some of the works are not totally online, it will be mixed with some physical process offline. And most of our online tasks are in Country tasks and only a few people are working online beyond the country. I don’t want to say it is fully E-commerce things. Coz most are still missing major E-commerce features. But many people are earning from online selling. Products selling online are very diverse, ranged from imported products from foreign countries to local products. Most of the products selling online in Myanmar are imported products from China. Some products are from Thailand and Singapore. All the selling are happening on Facebook. Only a few people are using E-commerce website. Anyway some of the sellers make thousands of dollars per month from selling products online. In other countries, providing classified ads website is one of the sources for online money making like this one sellfreenow.com . But classified ads business is not working in Myanmar. Drop-shipping business is not popular (even not started yet) in Myanmar. I am thinking to initiate drop-shipping style business, but still struggling with users digital behaviors in Myanmar. (If you want to discuss drop-shipping in Myanmar, please feel free to reach out to me). It ranges from providing logo designing, article writing to financial consultancy. If you have a skill, you can do online service provision. Myanmar people are now used to purchasing online service. It offer great opportunity for young people to start business through online. I have one client who offer online Tarot astrology service, and she is earning alot from it. As far as I know, she earned nearly 10,000 USD a month through her Tarot Service. It’s really amazing. Now most of the business building their space on social media, so offering digital marketing services to these businesses are also gold rush in Myanmar. Every day, new digital marketing agencies are appearing in Myanmar. But some people are offering Digital marketing service through online. I am one of them. I am also offering digital marketing consultancy services to many clients. Blogging is not a hot thing in Myanmar. As we have very limited opportunity with Ads Networks and also Myanmar people rarely use websites, blogging is not a big thing in Myanmar. We cannot survive with blogging. We cannot depends on Ads network income. But there are other ways of blogging popular in Myanmar. They are also named as bloggers, but they are more active on Facebook. They have a Facebook pages which create posts about food, travel, sightseeing around Myanmar and also about cosmetic and beauty. Their earning comes from sponsorship and review writings. But I really don’t like about it because their reviews can be biased because they have to talk about all good things of their sponsors. As blogging is not a good option for Myanmar, many publishers in Myanmar is relying on Instant articles. It was also a gold rush since 2017. There are many publishers (and also so called publishers) earning more than 10,000 USD per month from Facebook Audience Network. But 2018 is nightmare for them. Facebook is changing it’s policy and publishers are losing their access to Instant articles. I want to use adsense but I still need something i guess. Sure.. we can do it. Personally, I haven’t tried any of stock exchange work. So I don’t know about FBS. For food blogging, which kind of blogging do you want to do? Food review or Food recipe? Which platform are you going to use, Facebook or website?